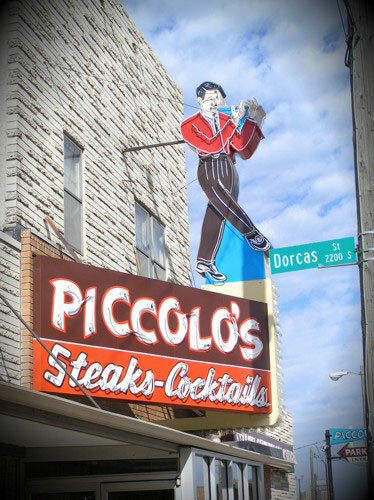 Located at 2202 South 20th Street, Piccolo Pete’s Restaurant has been a South Omaha tradition since 1933. Combining the rich history of the South Omaha packing houses as its backdrop and the Italian fanfare in one of the city’s most culturally diverse pockets. When this iconic sign needed restoration we removed the sign and transported it back to our shop, where we took it down to bare aluminum, bead blasted it, and primed it. We hand-painted it, restoring the sign to its original state. We transported it back and re-installed it, so he can continue to lead people back to this popular Omaha restaurant.